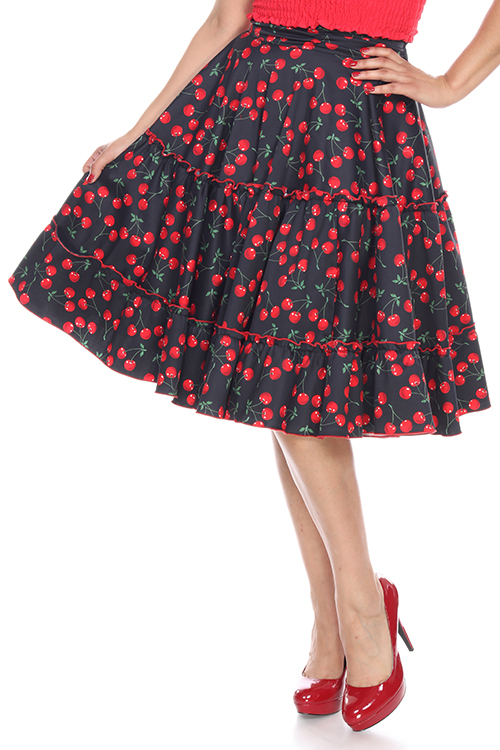 Tags: bettie page, rockabilly, retro, vintage, swing, Plus, plus size, high waisted, cherries. 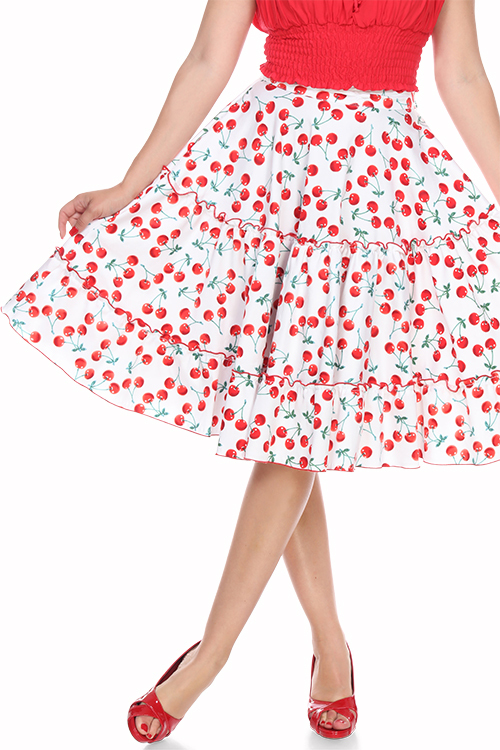 This classy fitted skirt from Bettie Page features a high waist and flared pleats at the bottom for an extra-feminine retro silhouette. 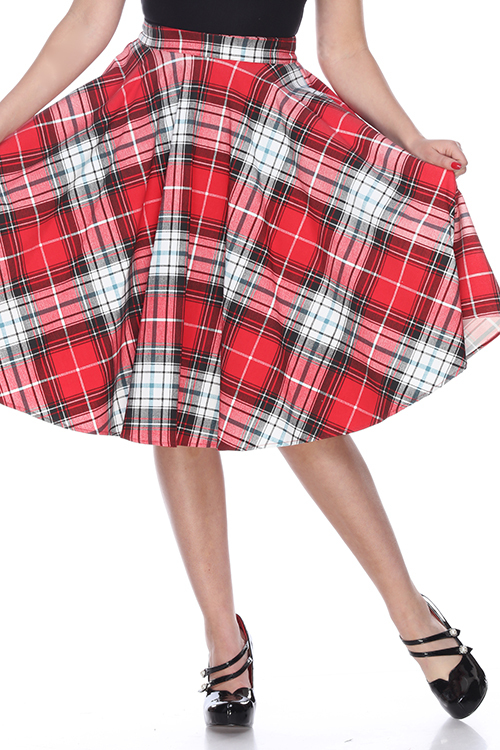 Here at Dee Foreman, we pride ourselves on providing all of our beautiful customers with the highest quality and most stylish vintage-inspired looks. Designed, cut & sewn in the USA!